American DJ DOTZ TPAR System DJParts - All Variety of Parts that DJ Needs. In addition to it’s built-in programs and the wired foot controller , the Dotz TPar System may also be controlled by an external DMX Controller via it’s XLR In/Outs. 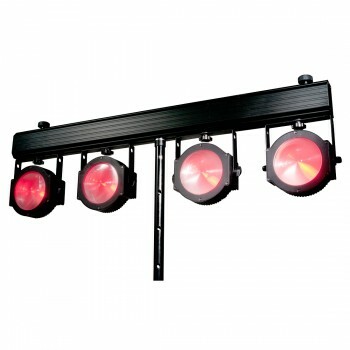 User can also mount two smaller lighting fixtures on top of the T-bar and plug them in directly on the back of the bar.